Put that extra cushioning between you and the hard pavement with the Feetures Merino 10 Cushioned No Show Tab Running Sock. 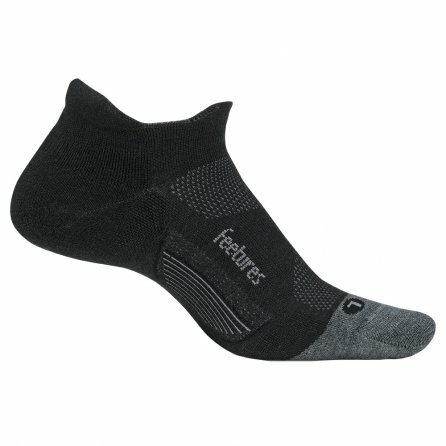 These socks combine Feetures' targeted compression and maximum cushioning for the most impact protection. The Perfect Toe® technology delivers a seamless fit, practically eliminating worrisome blisters and chafing, perfect for those long runs. To keep you dry, iWick® fibers pull moisture away from feet while the Merino+ fibers keep you warm even when wet, leaving you dry and comfortable mile after mile.